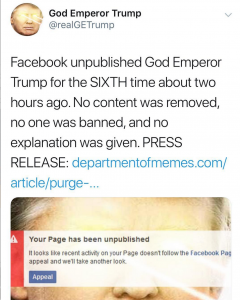 The popular Facebook page, ‘God Emperor Trump’, which has racked up over 330,000 followers, was randomly unpublished on Monday. Admin of the page, Tom Pappert took to Twitter and Instagram to inform followers. Tom is no stranger to the censorship tactics, as this has been the sixth time the page has been taken down without reason. 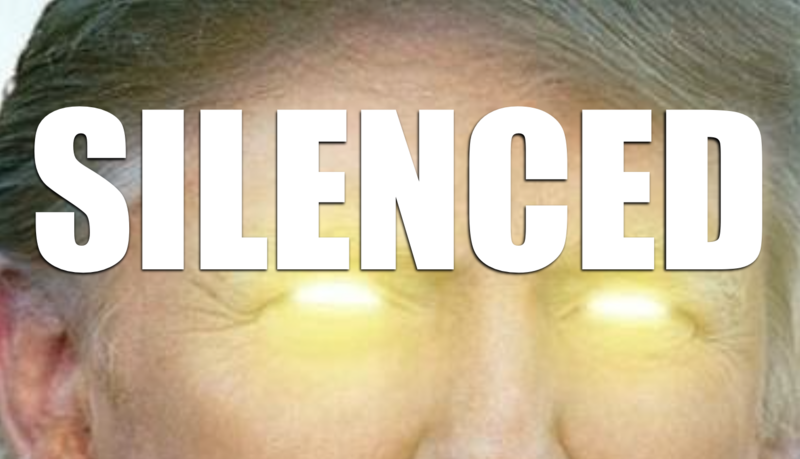 Recently, Pro-Trump voices like Diamond and Silk testified to congress about silencing from the social media platform. It has been a growing problem in the conservative community. Tom Pappert appeared on Infowars to speak about the ban and censorship, where Alex Jones described Facebook as utility with a monopoly on opinions. Whether Facebook will decide to permanently shut down the page based on political opinion remains to be seen, as they have previously restored the page following negative media coverage. Facebook recently released a statement, admitting to effectively shadow-banning pages sharing what they consider to be fake news. They have yet to release a statement on what matches their standard of fake news.